The finalists for the prestigious PEN/Faulkner literary award were announced this morning. 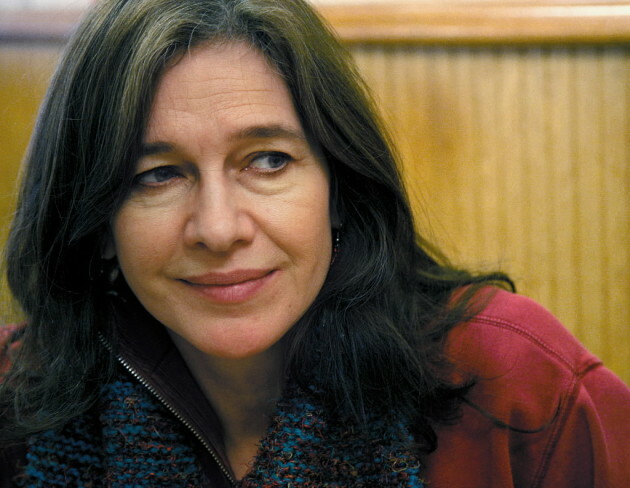 MInneapolis writer Louise Erdrich's novel, "LaRose," is among the finalists. The other four finalists are all debut novels. Viet Dinh for AFTER DISASTERS. This novel was named a best book of the fall by Buzzfeed, a best book of the month by Amazon, GQ.com, Nylon and a Most Anticipated by the Millions. Louise Erdrich for LAROSE. This novel, the third in Erdrich's Justice trilogy, is also a finalist for the National Book Critics Circle fiction prize, which will be announced later this month. Garth Greenwell for WHAT BELONGS TO YOU, which was also long-listed for a National Book Award. Imbolo Mbue for BEHOLD THE DREAMERS, which was longlisted for a PEN Open Book Award and was named a best book of the year by the New York Times and the Washington Post. Sunil Yapa for YOUR HEART IS A MUSCLE THE SIZE OF A FIST, a Barnes & Noble Great New Writers pick for 2016. Four of the five finalists are people of color, and two of the five are immigrants to the United States. The judges said, in a press statement, "Taken together, the five finalists represent something worth reiterating today: that American fiction cannot be defined or contained by any particular border, wall or edit." The PEN/Faulkner Award is America's largest peer-juried prize for fiction. The judges this year were Chris Abani, Chantel Acevedo, and Sigrid Nunez, and they considered nearly 500 novels and story collections. The winner will be announced April 4. The finalists will each receive $5,000 and the winner $15,000.